A thing regarded as uniquely remarkable. 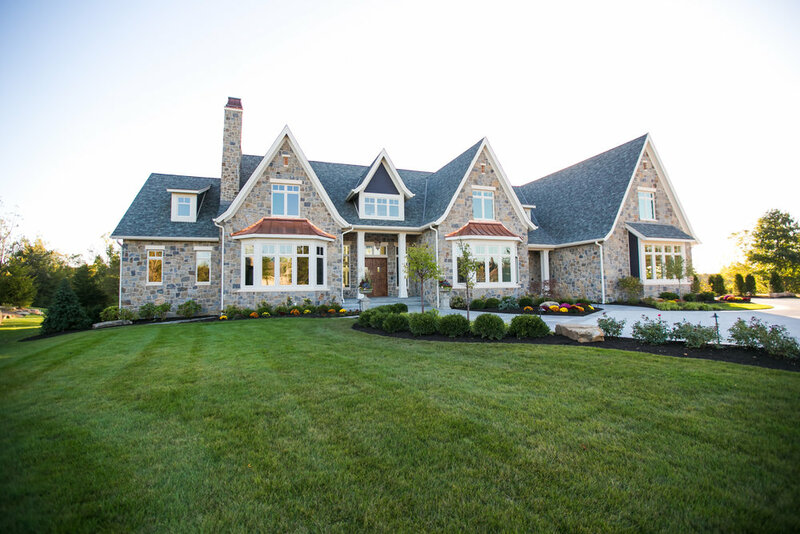 Homeowners Kristie and AJ Smith found this to be the perfect name for their brand new Zionsville home after they suffered a house fire at their previous residence. “Risen from the ashes” is exactly what happened, and it truly is unique and remarkable in every definition of both terms. 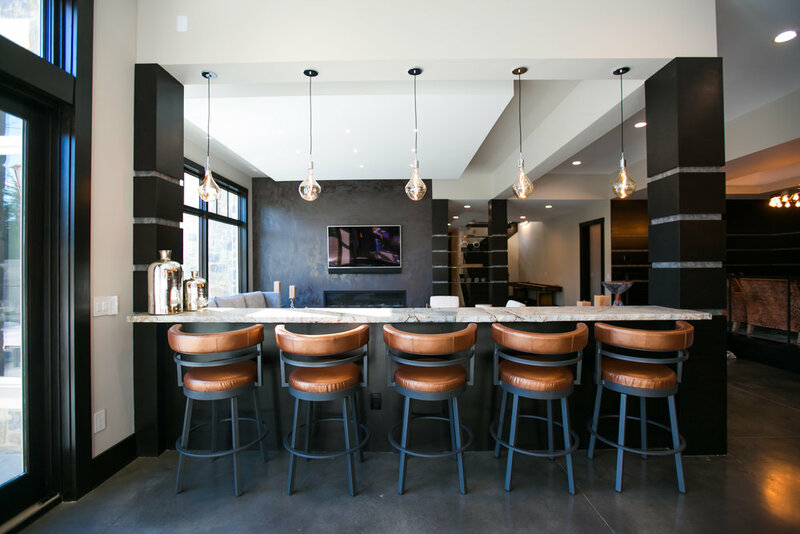 After photographing and touring the home, it was clear that Kristie’s deep knowledge in the real estate industry (starting her real estate career in 2003) came into play when making the immense number of choices that come with the process of building a custom home. 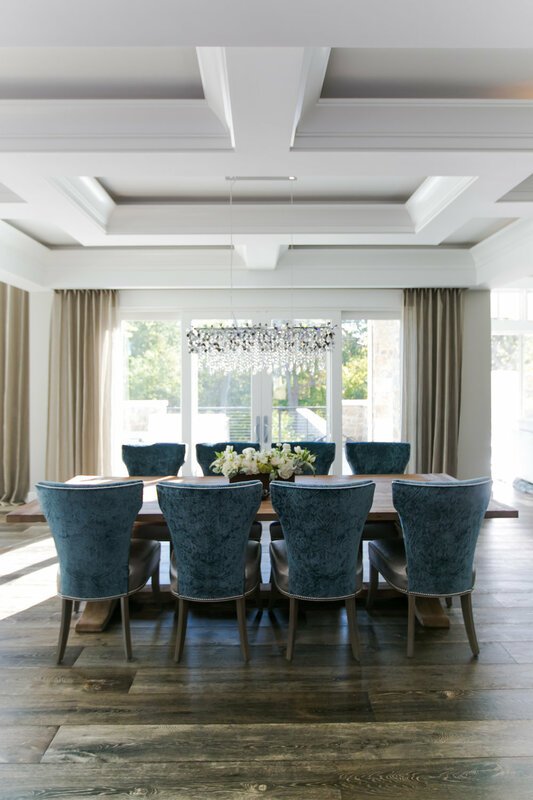 At the onset of the build project, the first hurdle for this couple to overcome was their style preferences; Kristie liked contemporary and all things sparkly, and AJ preferred a more traditional style. Thus, the term “Farmhouse Glam” became the central theme. Some commonalities that the two did agree upon were creating a welcoming haven to host and entertain with their friends and family, and an outdoor living space with a large pool to enjoy. The interiors are not only fun to look at, but almost everything has a story behind it. Perhaps it’s the gorgeous photo of a whale tail that tops their 72” linear gas fireplace purchased from their favorite vacation spot, Martha’s Vineyard and The Cape, or the fact that 17 floor registers were custom painted by a local artist to match the grain of each wood floor board to help completely disguise them into the one-of-a-kind french oak flooring that Kristie custom specified. Even further, Kristie has always been a fan of a double island in the kitchen, but considering their kitchen is rather large and AJ does most of the cooking, their interior designer, Jennifer O’Connor, designed a special seat niche in the island closest to the appliances so Kristie would have a front row seat to talk with AJ while he was cooking. Each second story bedroom suite has a theme; The Audrey (Hepburn) Room, the Captain’s Quarters, and The Loft. In addition, during the construction process the couple decided to finish the 1400 square foot area over their garage to an apartment that they dubbed The Vineyard, after their favorite vacation spot. Their downstairs master suite is incredible, featuring a large bathroom with all marble heated floors. 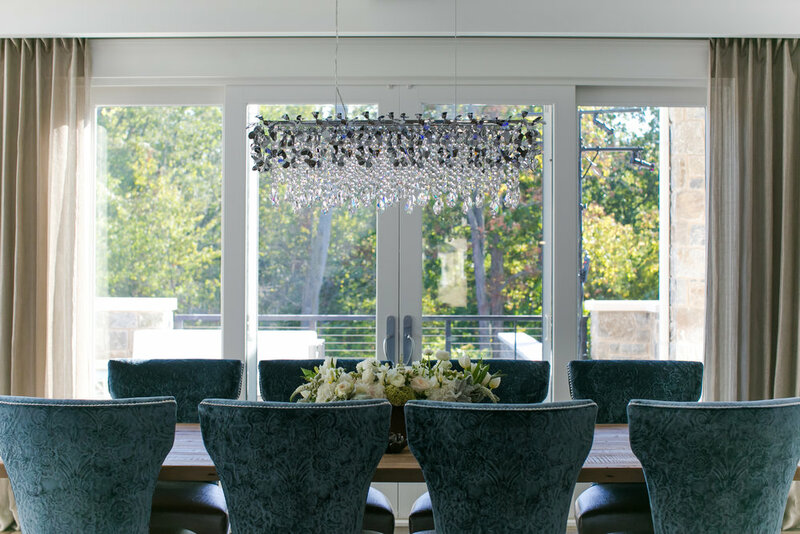 Kristie’s one big lighting splurge is actually their bathroom chandelier made entirely of Swarovski crystals.